The respect and power Louis XIV established over all of Europe during the grand siecle had completely vanished during Louis XV's(1715-1774) long reign due to his excesses, extravagance and incompetence in war. 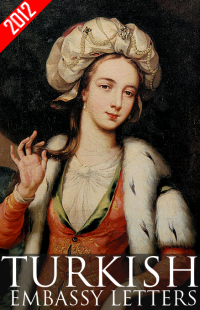 The feckless life in Versailles, became even more frivolous, scandalous and detached from the real world. 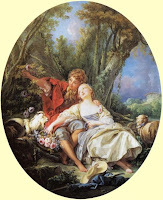 Madame de Pompadour's protege, Francois Boucher painted pastoral scenes of aristocrats imitating shepherds and farmers frolicking in nature dressed in satins and silks, accompanied by pristine clean dogs and sheep, causing critics to complain "His lovers are shepherds, but incapable of watching a flock." Life in Paris imitated life at court. 1The aristocracy lived only for its pleasure without any idea of the realities of the lower classes. Rococo was the style for the decorative and fine arts during Louis XV's reign. The oval frame, pastel pinks, yellows and blues, undulating forms, wooded landscapes, plump bodies and themes of love and seduction were all typical features to be found in rococo paintings. Even with indoor scenes where there were straight walls in the background, continuous arabesques were more prominent. While most of the French population suffered, the aristocracy played in a world of make believe behind closed doors. Diderot called for a new art that would promote virtue and not vice. 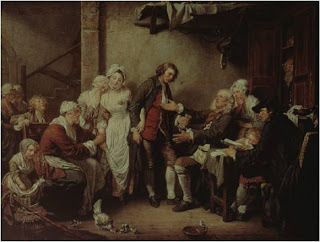 Jean-Baptiste Greuze's genre paintings about drame bourgeois, depicting the lives of the middle classes in an austere way, with elevated virtue could be identified as the perfect models for this new art. 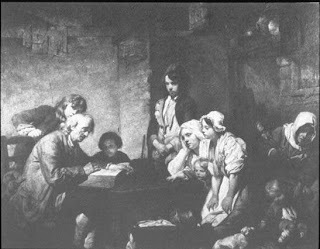 In the etching of Father Reading the Bible to His Children, we see a middle class family who is engrossed in what their father is reading with their backs to the door. This is a family who is not interested in what is going on outside with the nobility. The sons are engrossed in what their father is reading, one stands with a solemn expression on his face. Just the fact that the father is reading shows that they are educated. The maid in the background informs us of the financial stability of the family. 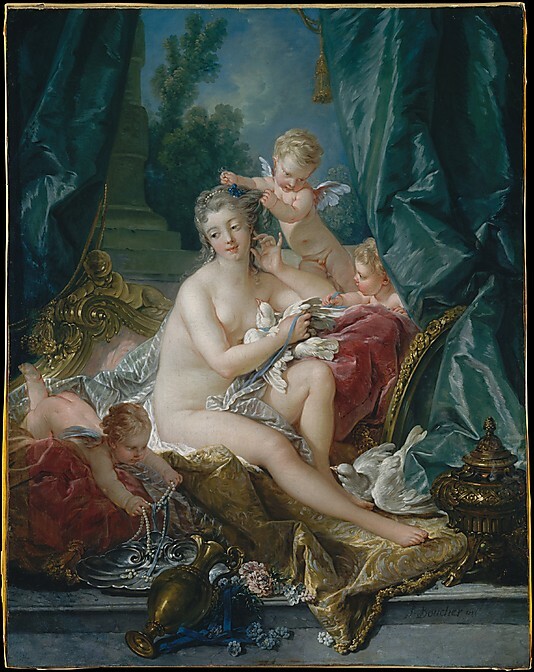 It is a clean, orderly, humble setting in an enclosed space, quite a contradiction to Boucher's paintings of nubile ladies carouseing in nature. With his somber, moralizing paintings Greuze would be the bridge between Rococo and Neoclassicism.